If you have been injured on a cruise ship, you need an experienced attorney to assist you with your accident claim. Laws favor cruise ship operators, and claimants are forced to overcome many hurdles when making a claim. 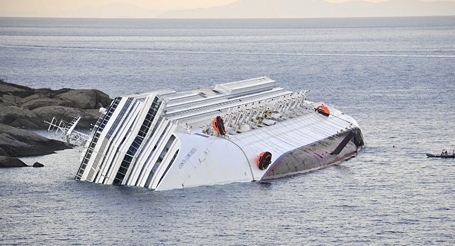 The lawyers at Waitz & Downer have experience with cruise ship accident claims and boating accident law and can help you obtain the compensation you are entitled to. Wrongful death claims may also be made on behalf of loved ones who were lost because of a cruise ship accident. A wrongful death claim can provide monetary compensation to the deceased’s dependents and beneficiaries for funeral costs, lost wages, loss of benefits, pain and suffering and other damages. In order to receive this compensation, you must prove that the death was caused by the cruise ship operator’s or a third party’s negligence. At Waitz & Downer, we have experience with cruise ship accident cases and understand what it takes to win this type of accident claim. Cruise ship accidents can be particularly complicated. The statutes of limitations may only be one year. Because cruise ship companies are often registered in other countries, foreign laws may also apply. Additionally, cruise ships can designate where they are sued. Without an experienced attorney on your side, your lawsuit may be dismissed. Call the experienced lawyers at Waitz & Downer Attorneys at Law today at 985-876-0870 to schedule a free consultation and to discuss your cruise ship injury.